Web2dx Web Site Designs Call Now! Responsive design is a great option for mobile-friendly websites. Modern websites must be viewable on a variety of devices and screen sizes. 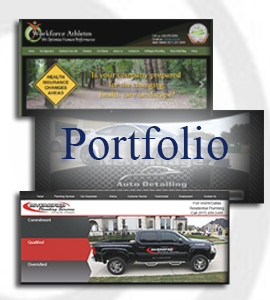 We create all of our websites with responsive layouts. Your website will be optimized for the mobile, tablet, and laptop. Web sites are not created in stone. They can be changed, and redesigned to meet the needs of your business. We've built our website management process around these needs of our clients. We work with you on areas that need important attention. Every website that I design looks unique; it is my desire to convey the personality of each client or product. As a web site consultant, designer and developer, I will work with you to develop a web design that meets your business's specific needs while making sure that its custom graphics, layout, and content are appropriate for your targeted audience. A professional creative touch, a sensitive outlook and cost effective solution, this is how I would describe my services. Located in Manassas, North Virginia. Web2DX Web Designs by Sarah Albright will create Web sites for businesses throughout the state of Virginia with the creativity and business logic to help grow your business. Our team will provide your business with Web site consulting, design, development and maintenance, it is crucial to ensure your site is running smooth and is available at all times for your visitors to find on the web. Many businesses do not have the need for a full time webdesigner/developer. We offer quality web development services as you need it! Call us now! SOLUTIONS FOR almost EVERY BUDGET. We will take time to understand your project and offer the best possible solution tailored to your budget. Call us today. We'd love to chat! Our team will provide your business with Web site consulting, design, development and maintenance. Web hosting from only $6.99/mo! Our secure, reliable web hosting plans feature unlimited bandwidth and free software. First impressions can last a lifetime; and they can based on the visual effects. A interesting and attractive website is essential.